Ultra-quick setting, smoothing, wearing screed for high abrasion-resistant Industrial floor coverings at a thickness from 5-40mm. Ultra-quick setting, smoothing, wearing screed for high abrasion-resistant Industrial floor coverings at a thickness from 5-40mm. Ultratop Industrial may remain on view as a finished floor surface due to its high mechanical strength, and is used specifically for internal industrial buildings. 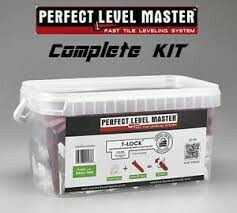 The product is used for levelling or smoothing new or existing concrete and screed substrates, to make them suitable for industrial use for example, in workshops, factories, store rooms, plant rooms, garages and warehouses. It is a natural finish product. The product is available in grey– suitable for industrial use only. If high chemical resistance is required, after only 24-36 hours of applying Ultratop Industrial, the surface may be coated with Mapefloor Systems. Consumption 16.5-17.5 kg/m2 per cm of thickness; Packaging 25 kg bags.